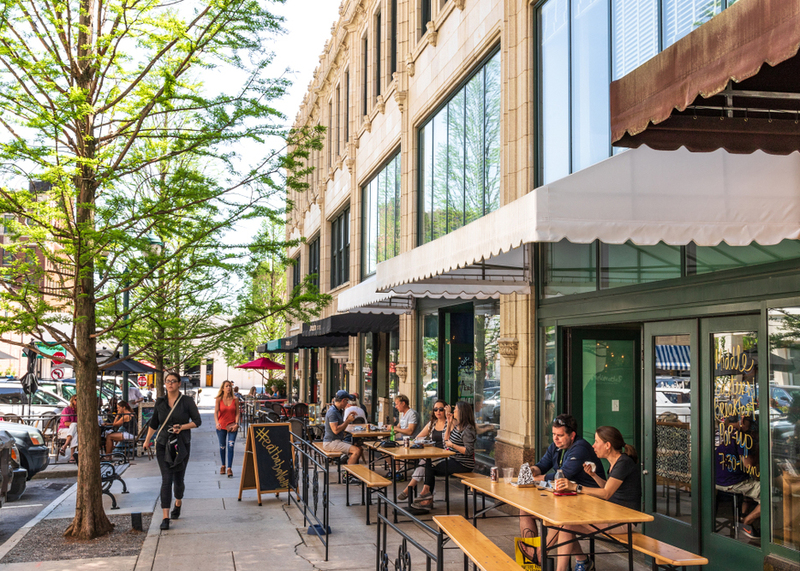 If you’re looking for ways to squeeze more travel into your calendar this year, you only need to look around the U.S. With so many American cities reinventing themselves, travelers can discover something exciting right around the corner. And in more established cities, there are plenty of new gems for repeat travelers to find. Whether you go for a week or weekend, these are the best U.S. cities to visit in 2019. After the damage of 2017’s Hurricane Maria, Puerto Rico is ready and eager to welcome back tourists to the island in 2019. And with the reopening and refurbishing of hotels like the San Juan Marriot and Stellaris Casino and brand-new hotels like Serafina Beach Hotel, there are many more opportunities for travelers to enjoy a tropical vacation that doesn’t require a passport. You can go shopping along Condado Beach or visit the Santurce neighborhood to taste San Juan’s rising culinary scene for yourself. At Lote 23, you’ll find a “gastronomic park” made up of dozens of food stalls that serve everything from grilled fish to tacos, pizza, and donuts. Visitors in January could also have the opportunity to take part in a historical musical event—the San Juan production of Hamilton. Lin-Manuel Miranda, the creator of the renowned Broadway musical, will reprise his role as Alexander Hamilton in San Juan for the first time since he stepped off stage in New York in 2016. Check out Discover Puerto Rico to browse vacation packages that include tickets to the San Juan production. Where to stay: At the Puerto Rican-owned Olive Boutique Hotel, you’ll find an impeccably designed space with a rustic twist in the heart of the Condado neighborhood. For a getaway near the Great Lakes, look no further than Buffalo in upstate New York. In addition to being just 30 minutes from Niagara Falls, Buffalo is in the middle of a revitalization worth seeing for yourself. Hot wing devotees have long been drawn to the city before for its famous Buffalo Wing Trail, but you might be surprised to find out that architecture fans also have a lot to discover. Opening in spring 2019 is the Lipsey Architecture Center, showcasing Buffalo’s architectural heritage—which includes Frank Lloyd Wright’s Martin House. In the warmer months, you can get outside in Elevator Alley, a repurposed area that has transformed the city’s industrial grain silos into something way more fun, with outdoor movie screenings and a zip-line. Consider visiting in July for the Garden Walk, the biggest free garden tour in the U.S. Every year Buffalo’s dedicated home gardeners open their backyards to visitors for this city-wide event. It’s a great way to explore the city and make a connection with the locals. Where to stay: At the spacious Hotel Henry, you’ll be located within the Richardson Olmstead Campus, a historic landmark just a short walk from downtown. Though it’s often overshadowed by its neighbor Miami, Fort Lauderdale has been growing into its own with a thriving arts scene, luxurious hotel options, and 23 miles of beaches. You can partake in classic Fort Lauderdale activities like hopping aboard the Jungle Queen Riverboat Cruise for dinner and a show, or pay a visit to FATVillage, an arts district that offers visitors a chance to browse galleries or shop from local artists. If you happen to be there on the last Saturday of the month, don’t miss the monthly ArtWalk. If you’re looking for some funky eats, check out restaurants like Rhythm + Vine, an outdoor garden restaurant with a rotation of local food trucks, so every time you go you can try something different. Where to stay: Enjoy the beach at the B Ocean Resort, a modern hotel with a vintage twist. Check out the Shipwreck Bar in the lobby to catch its unique mermaid show. This summer, take a trip an hour south of New York City to the Jersey Shore’s most happening and musical city—Asbury Park. Home of the Stone Pony, the historic music venue that launched native New Jersey superstars like Bruce Springsteen and Jon Bon Jovi, Asbury Park is a must-visit destination for any classic rock fan. In 2019, the city is bursting with reinvention. Asbury Park’s once-decaying waterfront buildings are seeing new life, such as the old carousel building which has been transformed into a theater space and skate park. Along the boardwalk, you can find everything hip from craft coffees to Korean-fusion tacos, along with restaurants where you can get your seafood fix, like the Langosta Lounge or the Asbury Oyster Bar. If you can’t visit during the summer, you can still plan a trip around cool events like the Music and Film Festival in April or the Sea Hear Now Festival in September. Where to stay: The Asbury Hotel is a boutique hotel that has not just a rooftop bar, but also a rooftop movie theater. There’s plenty of adventure to be had in the redwood forests of Northern California, but for a city you can settle into, skip San Francisco and head to the university town across the bay—Berkeley. You can explore the beautiful campus of the University of California, shop the independent boutiques on Fourth Street and Telegraph Avenue, or get some exercise with a side of great views along the hillside path walks. Berkeley also offers some amazing dining options, from upscale establishments like Japanese Akemi and Italian Rivoli to more casual spots like a cafe called Blue Willow Tea Spot or the organic small-batch creamery iScream. Want to take a deeper dive into Berkeley’s food scene? Check out the local food tours from Edible Excursions, where you can get your fill all over town. Where to stay: Stay close to campus at the Graduate Berkeley, for a luxurious stay within walking distance of the university. Asheville isn’t just the home base for autumn leaf-peeping in the Great Smoky Mountains; it’s also a city on the rise. Asheville has always attracted an open-minded crowd with its trendy shops, Friday night drum circles, and cafes and bookstores for hanging out, including one that has its own Champagne bar. However, there are plenty of new restaurants in town like Button & Co. Bagels, where you can try an “Appalachian-inspired” bagel made with local ingredients like winter wheat and country ham, or Benne on Eagle, which celebrates African-American contributions to Southern cuisine. The year 2019 will also bring exciting new developments to Asheville’s most popular attraction—the Biltmore. The famous mansion-turned-museum of the Vanderbilt family will begin offering quirky activities like falconry lessons and electric tricycle tours through the estate’s grounds. In February, the Biltmore museum will also unveil a new exhibit titled “A Vanderbilt House Party: Guests, Grandeur & Galas,” which will explore 20th-century fashion. Where to stay: At the Omni Grove Park Inn, you can catch the best view in town. The hotel is built to face the sun setting over the Blue Ridge Mountains, and a drink at the Sunset Terrace is the perfect way to end a day in Asheville. New Orleans has been having a moment for a while now, and it doesn’t look like it’s coming to an end any time soon. Coming off the celebration of its 300th birthday in 2018, the city is keeping the good times rolling with exciting new attractions like the summer opening of Sazerac House, a museum dedicated to the history of the iconic cocktail. New restaurants will also be making a splash, from the hotly anticipated Justine, which will serve contemporary French cuisine, to Warbucks, a classic American diner that embraces “the essence of 90s rap, skateboarding, and hip hop culture.” And if you want one place to sample the latest in New Orleans’ food scene, stop by Auction House Market, a food hall where you can taste locally sourced oysters from Elysian Seafood or New Orleans-inspired empanadas from Empanola. After eating and drinking, make sure you check in with what’s going on around the city. With an average rate of one festival every three days, you’re bound to find something going on whenever you decide to visit. Where to stay: Just outside the French Quarter, the Eliza Jane is a new hotel on the scene, but it’s already making waves with a sophisticated design imbued with the history of New Orleans. If you’re looking for a no-pressure vacation where you can kick back and be yourself, put Portland at the top of your 2019 go-list. Portland is a hangout city, first and foremost, so take the time to get to know its various neighborhoods. From the indie boutiques of East Burnside to the Victorian homes of Nob Hill, there is plenty of variety in Portland. Whether you’re sitting down to indulge in an incredible hummus dish at Tusk or getting some reading done while sipping sustainably sourced Brazilian coffee in a cafe like Nossa Familia, it’s easy to find a way to make your Portland experience your own while savoring some great flavors along the way. Where to stay: To feel at home during your stay, check out The Jupiter, a pet-friendly boutique hotel with an artistic design and reasonable rates. Everyone can find something to love in Scottsdale. Whether you go for the spa, the golfing, or the natural surroundings, Scottsdale also offers incredible opportunities for culture at places like the Musical Instrument Museum or Taliesin West, Frank Lloyd Wright’s winter home and architecture school. In May, you’ll want to check out the opening of Agave del Scottsdale, a fine dining restaurant with a Mexico City chef at the helm. To get the best views of the desert, get up in the air with a hot air balloon ride with Rainbow Ryders. Where to stay: Get it all at Mountain Shadows Resort, a modernist-inspired complex surrounded by incredible views. No matter when you go or what time of year, there’s always good music in Nashville. The year 2019 will be no exception, but you can make the most of it by planning your trip around one of the city’s upcoming concerts or annual events. You can scout emerging artists at the Musicians Corner in May or get your spice on at the Hot Chicken Festival in July. 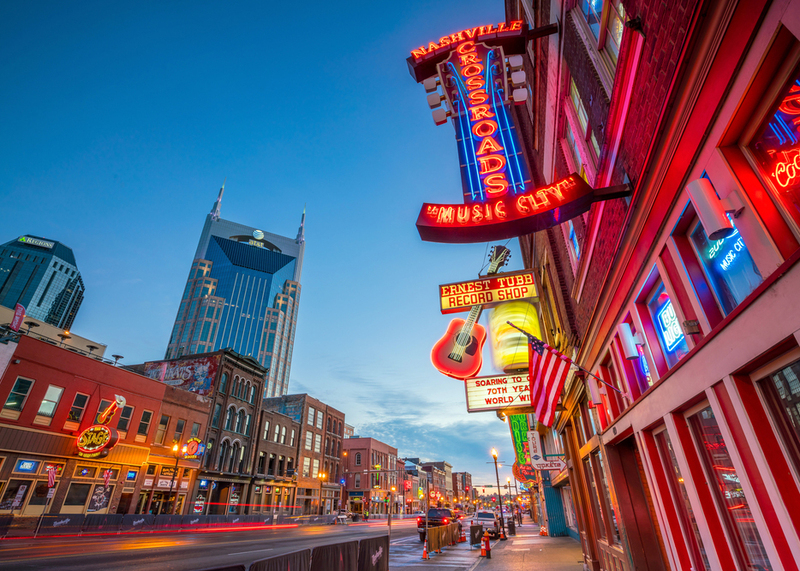 You can also explore outside the city by taking a tour along the Tennessee Whiskey Trail or do less drinking and more shopping on a tour that takes you to meet the leathermakers and bootmakers of Tennessee.